Your party for Thursday night fell through. Again. The last three people you asked to join your team said “no.” You’ve run out of names on your List of 100 for the hundredth time. So why are you running your own business, again? Not to be a Debbie Downer, but you WILL face tough times and dry spells with your Scentsy business – or any business, for that matter. Having a strong WHY – a reason why you’re working so hard – can help you overcome ANY obstacle and give you a renewed sense of purpose. Catalog your successes. Look at a calendar or pull up your account in the Workstation and make a list of all you’ve accomplished. When did you sponsor your first Consultant? When did you promote? What awards and incentives have you earned? How many parties have you booked in the last week? Month? Year? How much have your sales increased since you joined? You’re probably doing better than you realize, and having a list of your triumphs staring you in the face may be just the shot in the arm you need to keep going. Keep your eye on the prize. For most people, motivation ebbs and flows. That’s why we offer incentives every six months to keep you engaged. (Hello?!? An all-expenses-paid African safari for two? )* Set your sights on earning the highest tier – and even if you don’t QUITE make it, a luxurious trip to an all-inclusive resort in the Dominican Republic is a mighty fine consolation prize! Stop the negative self-talk. Like, NOW. Any time you catch yourself saying or thinking something negative about yourself, say or think of three positives. Psychologists say the 3:1 ratio of positive to negative thoughts is the key to happiness – and your success. A good rule of thumb is, if you wouldn’t say something to or about your best friend, then why would you say it about yourself? Yep. You’re good enough, smart enough and PASSIONATE enough to succeed – right now, exactly as you are. Pep talk over! Now get out there and make your dreams come true! Tell us: What’s YOUR why, and how are you making your dreams a reality? Separator image Posted in About Scentsy, Our Consultants. 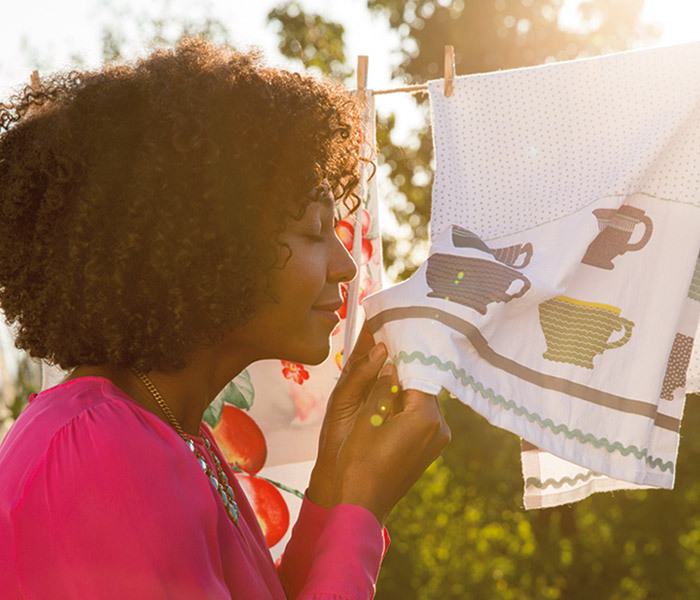 Show your laundry some love! My Why has changed some since I first joined 8 years ago, but it still revolves around my family. As a Mom of 5, I want to give my children opportunities that I didn’t have. My Scentsy business helps me do just that. I pay for their sports and extracurricular activities with my Scentsy earnings. We are now enjoying family vacations with Scentsy! We went to Disneyworld twice on Scentsy incentive trips! And having a biz that works around my kids’ busy schedules is great! I never have to miss a game, performance or field trip! My Why = Family! My why is to travel. Before Scentsy, I never left my small town except for my honeymoon. I now get to travel all over the USA and the world! I never had the money or desire to travel, but now that I’ve been on so many trips, thanks to Scentsy, I look forward to it. I get to meet people from all walks of life and give back to my community in ways I was never able to before. Thank you Orville & Heidi for swinging for the fence! Thanks for sharing, Patti! It warms our heart to hear stories like yours, and we’re honored to be a part of your journey! ? ?